Aiming for a career in the physical therapy field can be difficult but extremely rewarding. Learning about the human body, inquiring about injury and injury prevention, and understanding how nutrition and exercise play into the equation of health and well being can be a calling for those who want to help others in pain. There are also categories inside of the physical therapy realm, depending on whether your primary interest lies in sports physical therapy, post-traumatic physical therapy, pregnancy physical therapy, or physical therapy for the old or sick. Within a single industry, there is a tremendous amount of variation in the types of help you can give people! And now, with the onset of new technology, new gadgets, new devices, and new applications, this help is more effective and efficient than ever. 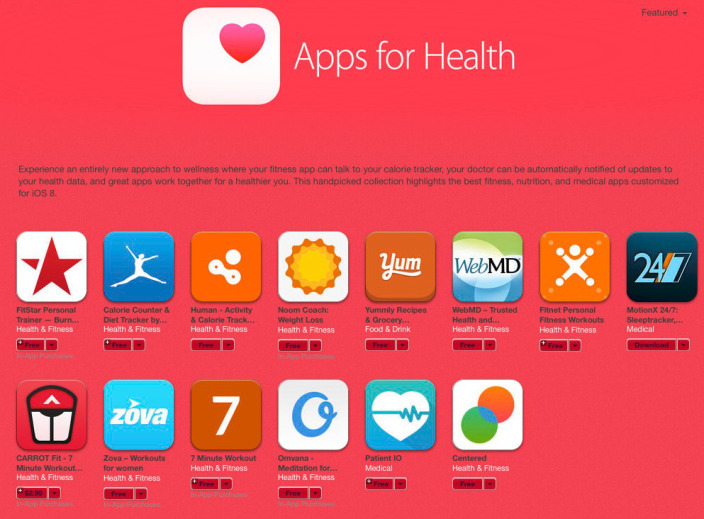 A relatively new development in the software/hardware world to help out physical therapists is the Apple Health app, which is now integrated into all of the new iPhones. Automatic motion trackers are a part of it, and super easy input into categories of exercise and nutrition and built in as well. Physical therapists no longer have to guess about much of this information when getting new people to care for, so long as these people are honest inside the constructs of their mobile phone. Even a small amount of consistent effort to enter food, sleep, and activities into the Apple system can make a huge difference in helping physical therapists understand their clients. There are a ton of options right now when it comes to fitness sensors and wearables, and these can be invaluable for physical therapists to assess the health of their charges. Heart rate monitors, fitness watches, blood sugar testers, blood pressure monitors – all of these gadgets are getting smaller and more accurate, and often connect with mobile devices to give you all of this information on the go. Within a short amount of time, an incredible amount of data can be obtained to help determine overall health, and that in turn can be used to help decide what pathway should be used for the best possible physical therapy session, on a day-to-day basis. This is an amazing time in human history for the analysis of health data. Once you have a plan for your career, or are perhaps working for a larger company, also be sure that you present yourself clearly in your professional website and that you have good, accurate physical therapy SEO in place. It won’t do you much good to have all of this passion to help and these gadgets to use if no one knows that your services are available!